Typically hearing loss is something people are either born with or develop slowly over time, but sudden sensorieneural hearing loss (SSHL) is an unexpected loss of most or all hearing in one or both ears. Waiting to treat SSHL often results in permanent hearing loss. Sadly, even when a patient gets to the hospital quickly, hearing loss cannot always be reversed, although a portion can typically be maintained. 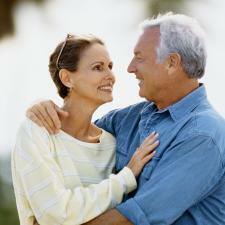 Dealing with this or any type of hearing loss can cause emotional stress and put a strain on relationships. This is what Phyllis G. Pisa discovered when, shortly after being married, she woke up with shooting pain in her right ear. It is imperative to consult an audiologist when faced with sudden hearing loss. In July 2008, Phyllis woke up with a shooting pain in her right ear and a complete loss of hearing. A quick trip to the doctor told her that she had inner ear infections. Although Phyllis treated her inner ear problems, three months later she was left with 50% hearing in one ear and 40% loss in the other. Her ear problems were so bad that she was prohibited by her doctor to fly, even in the case of a family emergency. The hearing loss and agony of her condition caused Phyllis and her new husband great emotional stress. As she tells us, "The first year of marriage is supposed to be the honeymoon phase, but my lovely new marriage was crumbling due to my not hearing my husband’s voice, and communication was becoming more and more difficult." Phyllis was 67 and her husband was 68 years when they married, but they were still newlyweds and the hearing loss had created a sound barrier between them. Phyllis decided to treat her hearing loss. She was advised by her audiologist that digital in the ear hearing aids would be the best match to treat her hearing loss. She bought the new digital hearing aids and they made an immediate difference in her life. As she tells us, "They are small, not noticeable, and amplify the TV as well as voices. My world of hearing changed immediately. Not only could I hear my husband’s voice and those of others, but I could sit out on the lanai and hear the birds and squirrels chirping! Life was alive to me again!" Phyllis's experience with sudden hearing loss was startling for her, but she quickly realized the true loss would be in not correcting her hearing and missing out on the intimacy with her new spouse. With her hearing improved, Phyllis tells People Hearing Better, "I can now honestly say that the best part of marriage – communication – is restored in my life, and I am very glad to have my new hearing aids, a new home, and a wonderful husband, at 71 years of age." Thank you, Phyllis, for sharing your story. Adjusting to hearing loss is not an easy thing. There are many reasons why people choose to ignore the loss of their hearing, but this example clearly demonstrates what there is to lose from not treating hearing loss. Whether you're a newlywed or have been married many years, communication is an essential part of a happy relationship. If you're enduring your hearing loss, maybe it's time to break the sound barrier and get back to all you've been missing. If you'd like to learn more, see your hearing health provider. If you need help finding a hearing health provider click HERE to be connected with the largest network of trusted hearing health professionals in the nation! Personal stories may have been edited for ease of reading, tone and content. If you'd like to share your hearing loss story with People Hearing Better and maybe win a prize, click on the Talk of the Town Contest button!